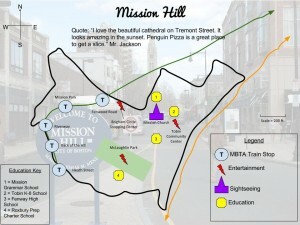 Today in class, students had their last classwork period to work in groups to complete the Boston Neighborhood Project by finalizing their thematic maps for their assigned neighborhoods. Students reviewed the rubric to understand how they were to be graded on the project. Homework - Finalize your thematic maps for your assigned neighborhoods. Map presentations begin tomorrow! See the schedule of presentations here.